Research focus in primary care respiratory medicine, particularly asthma care. NIHR ‘Heath Technology Assessment’ grant 13/34/70 - At-Risk Registers Integrated into primary care to Stop Asthma crises in the UK (ARRISA-UK): A pragmatic cluster randomised trial with nested economic and process evaluations examining the effects of integrating at-risk asthma registers into primary care with internet-based training and support. £1,460,000. 2014-18. Co-applicant and local Prinicipal Investigator. Please visit the study webpage for further details. NHS NIHR Research for Patient Benefit Programme. Predicting steroid response using exhaled nitric oxide. 2010-2012. £187,432. Co-grant holder with Dr D Shaw, Prof I Pavord and Dr T Harrison. GlaxoSmithKline Ltd. Asthma Phenotypes in Europe (AMPHORE) study, 2010-2012. Euros 1,000,000. Chief Investigator and chairman of independent trial steering committee, of a pan-European prospective observational study of 1000 subjects. Please visit the Primary Care website. Our aim is to provide mindfulness training to patents attending the ‘difficult asthma’ clinic in Southampton, who also have scores on a screening questionnaire indicating significant anxiety levels. We want to see if the course can be delivered (and is acceptable) to these people and to provide information to support a subsequent larger, randomised controlled study. Mindfulness is a type of meditation-based therapy that’s been used to treat a range of health conditions, including anxiety and depression. Currently, few studies have explored how mindfulness can help chronic health conditions like asthma. Acute sinus infections are one of the commonest infections managed in primary care, Currently GPs prescribe antibiotics to most patients presenting with sinusitis, the highest of any of the common acute infections presenting in adults, at over 90%. Vennik, J., Eyles, C., & Thomas, D. (Accepted/In press). Chronic rhinosinusitis: a qualitative study of patient views and experiences of current management in primary and secondary care. BMJ Open. Thomas, M., & Custovic, A. (2015). Diagnosing and managing asthma using phenotypes. European Respiratory Society on-line case based CME learning module. Fokkens, W. J., Lund, V. J., Mullol, J., Bachert, C., Alobid, I., Baroody, F., ... Wormald, P. J. (2012). European position paper on rhinosinusitis and nasal polyps 2012. Rhinology, 50, 1-298. Holgate, S. T., & Thomas, M. (2016). Asthma. In R. E. O'Hehir, S. T. Holgate, & A. Sheikh (Eds. ), Middleton's Allergy Essentials (pp. 151-204). Amsterdam, NL: Elsevier. Levy, M., Andrews, R., Buckingham, R., Evans, H., Francis, C., Houston, R., ... Thomas, M. (2014). Why asthma still kills: the National Review of Asthma Deaths (NRAD)Confidential Enquiry report. London, GB: Royal College of Physicians. Professor Mike Thomas featured on BBC's radio 4 Inside Health programme last night, discussing the over-diagnosing and under treatment of asthma. Link to the Inside Health web page here or download the podcast. SPCR study pivotal in leveraging further funding for COPD and co-morbidities, news story from the SPCR (Nov 2014). 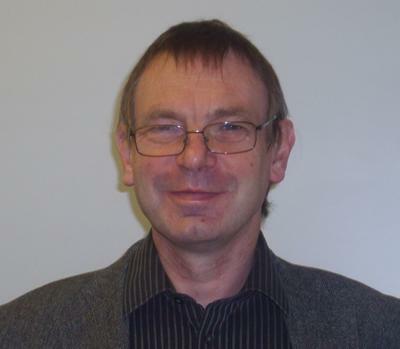 Professor Mike Thomas contributes to this report 'Does innovative research for allergy and respiratory diseases in the European Union benefit patients?' from the EFA event at the European Parliament 17 June 2014. Professor Mike Thomas contributes to National Review of Asthma Deaths (NRAD). Read our story here. Professor Mike Thomas, has spoken in an interview with the Daily Mail about the Government not giving people with asthma the same right to free prescriptions as those with other long-term conditions, such as diabetes and epilepsy. An interview with Professor Mike Thomas on the BBC radio 4 programme Inside Health is available to listen to via this link.